Talk about taking the world by storm! Maeng da is a latecomer to the exploding Kratom scene, but it has blown away any of its rivals such as Bali Kratom (which we also offer here on BuyKratom.com). Quite simply, "Maeng da" loosely translates into "pimp grade" in its home country of Thailand. This is reserved for only the most mature and alkaloid-rich leaves of Kratom, which then become "Maeng da" grade. So, Maeng da Kratom isn't necessarily its own strain of Kratom, it simply refers to the most mature of Kratom leaves that are harvested. Beware, though, there are many unscrupulous vendors who offer a blended Bali leaf with some Maeng da, and have the nerve to call it "Maeng da". The easiest way to recognize this leaf is its cost. Rarely have we seen something truer than in the Kratom market when it comes to "you get what you pay for". 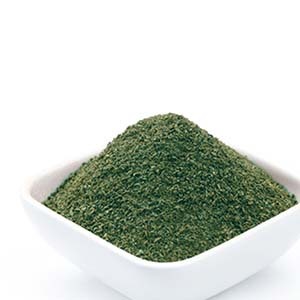 Obviously, price isn't the only consideration when deciding if the Kratom you're purchasing is genuine, but if you find Maeng da for cheaper on the internet than you find it here, chances are you're being taken advantage of. This is the POWDERED Maeng Da Kratom Leaf. This product is not intended for human or animal consumption. It's sold for research, as a botanical, an incense component, or for aromatherapy purposes only.